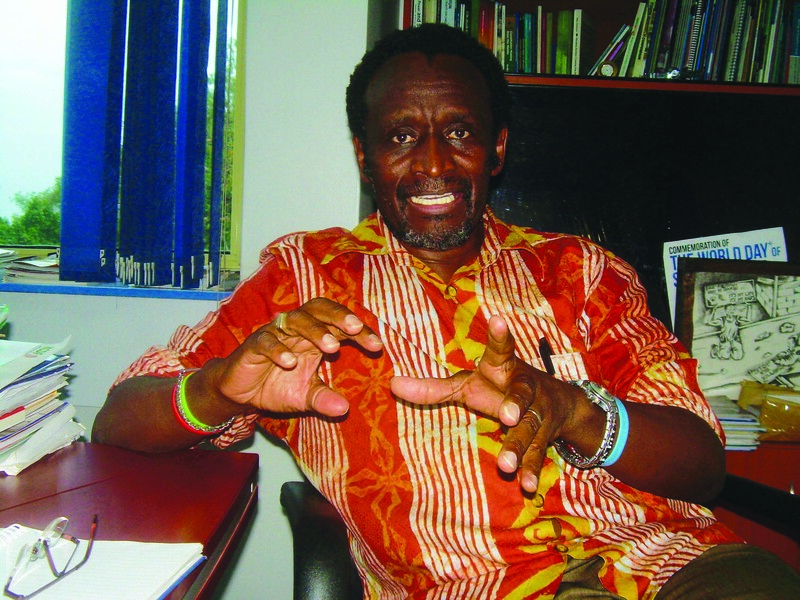 Ezra Mbogori, former executive director of the NGO Council. Even on the verge of succumbing to the growing weight of graft, plunder and anarchy at the top, the Jubilee Government is at war with the civil society. The genesis of this contention is the commencement of the Public Benefit Organisations (PBO) Act 2013. The law creates a PBO Authority – a semi-autonomous body to regulate the civil sector. In a way, this authority liberates non-governmental organisations (NGOs) by loosening the current tight grip that the State has on the civil sector. For this reason, the State is against the commencement of the new law. 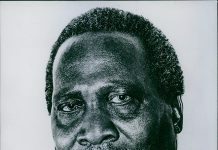 Since a discrete coup was staged at the NGO Council by the retired President Mwai Kibaki’s administration in 2004, the State has been in full control. Before that infiltration, the Council was an influential mouthpiece for NGOs. Through it, the civil society contributed substantially to the birth of plural party politics. After the State took over the Council, about a hundred NGOs conglomerated into a loose association called the Civil Society Organisations (SCO)–Reference Group towards the end of the last decade. Against many odds, the unregistered outfit formulated and pushed for the legislation of PBO Act, 2013. For this, CSO–Reference Group members are at the centre of the raging battle with Government as they fight for the commencement of the law, three years after Kibaki assented to it. The new law abolishes the Government-controlled NGO Council and replaces it with the independent, almost foolproof PBO Authority in whose board of management will be a significant presence of CSO-Reference Group members. Determined to retain the status quo, the Jubilee administration has declined to commence the PBO Act as it is. Instead, the State has made several attempts to amend the law to suit its whims. However, each attempt has been met with stiff opposition from all sectors of the economy, including the National Assembly where the Government has a majority vote. Frustrated, the Government has resorted to what operators of the civil sector term as witch-hunt and outright State terror. Members of the CSO-Reference Group believe every negative pronouncement or attack made by the State against the civil sector targets its members directly. Haki Africa and Muslims for Human Rights (Muhuri) organisations, who were recently cleared by a Mombasa High Court of charges of funding terrorism, are members of CSO-Reference Group and so are the Kenya Human Rights Commission and Africog which have been blamed by current and former International Criminal Court suspects for various reasons. Last year, the Government presented a draft Bill to the National Assembly proposing to amend the PBO Act 2013 to limit donor funding – the proposal was that NGOs should receive only 15 per cent of their annual budgets. It fell flat on its face. In the meantime, the CSO-Reference Group has taken the battle with the State to the High Court. In an interview with the Nairobi Law Monthly last month, Chris Mbiti slammed the NGOs Co-ordination Board for deregistering and blacklisting 15 NGOs for allegations of funding terrorism and more than 957 others for failing to account for Sh23 billion of donor funds, accusations he termed as baseless, unverifiable and unjustifiable. Mbiti is the executive director of Poverty Eradication Network (PEN). Fazul is the NGOs Coordination Board’s executive director. The director is said to have been fraudulently hired to his current post because he, allegedly, has no university degree. A letter from Egerton University (whose copy we are in possession) shows Fazul was discontinued from completing his undergraduate studies on academic grounds. The law requires that the holder of his position must have attained a masters’ degree education or its equivalent from a recognised university. When the Nairobi Law Monthly tried to get Fazul to verify the pronouncements so far made by the board regarding NGOs, he became completely elusive. When we reached him on his mobile phone and requested for an appointment, he disconnected immediately we began explaining what we wanted. He did not answer our subsequent calls again neither did he respond to several SMSs we sent him thereafter. After two days, we called him again on a different number. He answered the call and after discovering who we were, once again he disconnected the call. A visit to the Board’s 15th Floor offices at Cooperative Bank House did not bear fruit. A week later he was back in a press conference for which he did not invite us. He hurriedly announced that his earlier pronouncements were based on a research conducted on more than 10, 000 NGOs. Ideally such an important a research, conducted by a Government agency and thus funded by taxpayers, should have been availed to the public for scrutiny. In any case such a research would also collect data from NGOs themselves and their respective donors. Fazul offered the public no such proof to support his pronouncements. Our investigation found no evidence for such evidence on the said research. Besides, more questions beg; was the research conducted by in-house experts or did the NGOs Co-ordination Board outsource such services? When was the research conducted, over what period? We went out to talk to as many prominent NGOs as possible to find out whether any of them took part in the survey. Our investigation took us to the CSO-Reference Group. Although most of its 77 members are registered by the NGO Board, none of them had taken part in the survey. PEN serves as the secretariat of CSO-Reference Group. Interestingly, in the last one year, none of the 77 members of this loose alliance of NGOs has been involved in any research by NGOs Co-ordination Board or any other arm of the Government. Among the members of CSO-Reference Group are Africog and all NGOs that the NGO board has accused, deregistered or blacklisted for various reasons in the recent past. We called Fazul again requesting for an appointment to discuss the research which had informed his statements. He did not answer our calls. Mbiti says because the Kenya Government foresaw, since independence, that it cannot afford to furnish the NGO Co-ordination Board with the necessary infrastructure and personnel to independently ascertain NGOs conduct, the State donated that responsibility by law to the National NGO Council through the NGO Act (1990). On Code of Conduct [Part IV (24)]: “The Council shall advise the Board with respect to the code of conduct and such other statutes as may facilitate the regulation of Non-Governmental Organisations on matters of their activities, national security, training, the development of national manpower, institutional building, scientific and technological development and such other matters of national interest. (4) The Board shall prescribe rules and procedures for the audit of the accounts of Non-Governmental Organisations. (5) The code of conduct shall prescribe the responsibilities of the Council which, once approved by the Board, shall be construed as obligations under this Act. (6) The Board shall ensure that the code of conduct is consistent with the national and foreign policies and all written laws of Kenya. On functions of the Board (7): (a) to facilitate and co-ordinate the work of all national and international Non-Governmental Organisations operating in Kenya; (b) to maintain the register of national and international Non-Governmental Organisations operating in Kenya, with the precise sectors, affiliations and locations of their activities; (c) to receive and discuss the annual reports of the Non-Governmental Organisations; (d) to advise the Government on the activities of the Non-Governmental Organisations and their role in development within Kenya; (e) to conduct a regular review of the register to determine the consistency with the reports submitted by the Non-Governmental Organisations and the Council; (f) to provide policy guidelines to the Non-Governmental Organisations for harmonising their activities to the national development plan for Kenya; (g) to receive, discuss and approve the regular reports of the Council and to advise on strategies for efficient planning and co-ordination of the activities of the Non-Governmental Organisations in Kenya; and (h) to develop and publish a code of conduct for the regulation of the Non-Governmental Organisations and their activities in Kenya. Clearly, if such a research was not conducted by the NGOs Co-ordination Board itself, the only other source of such data would have been the NGO Council, according to this law. When reached on phone, both she and Council chairman Wilson Kipkazi, were receptive and scheduled meetings. But on the material day, they were suddenly unavailable because they were held up in “impromptu meetings with their donors”. Several days and attempts later, no, they would not discuss the matter on phone, despite failing to honour meetings. Like Fazul, the leadership at the NGO Council stonewalled our efforts to get more information. The Code Conduct of the NGO Council requires that each member contributes an annual membership fee of Sh20,000 or a small fraction of the donor funds they get, or whatever is higher. This colossal sum helps the council to monitor and enhance adherence to the strict code of conduct that all civil organisations have developed for self-regulation. The money is also used to finance research and audit of the organisations and to train their (members NGOs’) staff. Because audit and research exercises are naturally expensive, the council’s huge budgets are traditionally financed by donors. “The NGOs Coordination Board receives self-declared information from NGOs on their financial receipts during a particular financial year through Form 14 which is the annual reports document. To verify these reports, the Board would have to rely on audited accounts which are required for organisations with income or expenditure of Sh1 million and above. 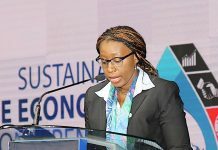 For the board to say that Sh23 billion – a huge amount by any estimate – could not be accounted for, would either mean that the audit reports presented by the organisations to the NGOs Board established that indeed the monies could not be accounted for, or that donors themselves made a report to that effect to the NGO Co-ordination Board. “It should also be noted,” according to Ochido, “that it was in extreme bad faith for the Board to release publicly the names of NGOs issued with a notice of intended deregistration. The provision for issuing a notice is to allow such organisations the opportunity to either confirm that they were indeed compliant and that the Board had made a mistake, or, alternatively, allow such organisations to comply with the law. It is only after the 14 day window provided for by law has lapsed and the NGOs stand deregistered that the regulator can be made publicly. “Lastly, the legality of the decision to issue a notice of intention to deregister NGOs is in question since it is common knowledge that there is no Board of Directors at the NGOs Coordination Board at the moment. The responsibility of making such decisions is clearly vested in the Board of Directors as per the NGOs Act and its Regulations. The NGOs Bureau, which Fazul heads, has no such powers. Indeed, the role of the directors is to provide oversight to ensure there is no abuse of power in the manner that is now apparent,” Ochido asserts. In the current financial year, we have independently established, the board received about Sh140 million. It generates another estimated Sh50m in fees and other charges for registering NGOs annually. Frustrated by the unwillingness of the NGO Council’s top management to meet us, we sought for views from individual members of the Council. We were not prepared for the rude surprise that awaited us. There are few known members of the erstwhile powerful and influential National NGO Council! Currently the Council is an empty shell. Its leaders are elected by briefcase NGOs who have no donors and therefore no resources to pay their annual subscription fees to the Council. We established that donors gave the NGO Council a wide berth more than 10 years ago when mismanagement invaded its very core. Leadership of the NGO-Council is determined by the State through the NGO Co-ordination Board. Insiders revealed that they expect its leadership to change without elections. That has been the case for the last 10 years. Ochido says even with no resources to run the NGO Council, being the boss of this moribund organisation is a gateway to nominations to well paying boards in the Government’s welfare-based parastatals like National Health Insurance Fund, NGO Co-ordination Board, Retirement Benefits Authority (RBA), Youth Fund, Uwezo Fund, Women’s Enterprise Fund, National Social Security Fund, etc. The NGO Council bosses therefore may nominate themselves to any or all boards on offer. Serving in a board of directors in any State’s statutory board also gives nominees access to lucrative tenders, fat bribes and opportunities to employ friends and relatives. Furthermore, the Government also funds the Council’s operations from the coffers of Office of the President. Working backwards, it is apparent that the past two regimes have systematically invaded and emasculated the NGO Council in order to weaken the civil society. Sources revealed to us that Sh16 million was released to the NGO Council through the NGOs Co-ordination Board, which the Council could not account for. Another source informed us that the NGOs Co-ordination Board has been pursuing the matter with the NGO Council much to the chagrin of NGO Council’s officials. Because of the potential embarrassment to the government, however, the NGO Board has had to tread softly on the matter. 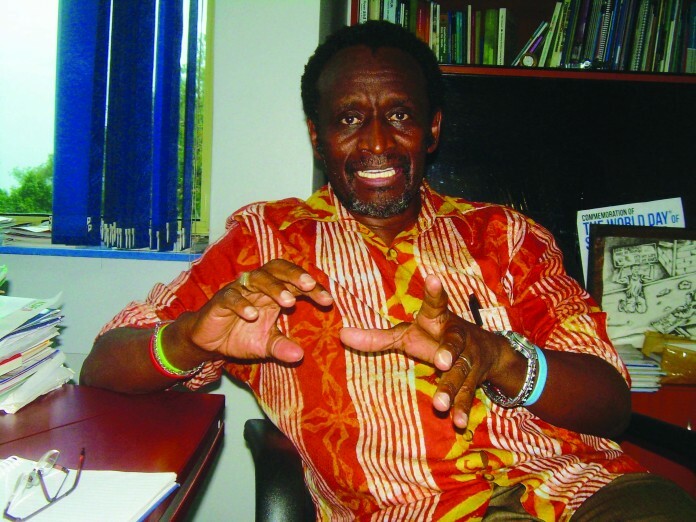 We spoke to Ezra Mbogori, the first elected chief executive director of the NGO Council. Mbogori is also the current head Akiba Uhaki, a fund for human rights and social justice. Because he was instrumental in the formulation of the NGO Act and formation of the NGO Council, he was elected the first head of the latter in 1992. “After we took the NGO Council’s leadership during the Kanu era, things went well until the Kibaki regime took power and most activists were absorbed into the Government. These included Kiraitu Murungi, Kivutha Kibwana, Wangari Maathai, Mutava Musymi and John Githongo, to mention but a few. We were happy because we thought these were level-headed people who would offer crucial advice to the Government on proper, accountable and transparent management of national leadership. We were mistaken,” he laments. To rectify the situation, Mbogori is again behind the formulation of the PBO Act 2013. He is the co-chairman of the CSO-Reference Group. “The Reference Group is not registered. We set it up as a loose coalition of NGOs that were looking to create an enabling environment for the operations of the sector. Once the Act was assented to in 2013, we expected it to be commenced. The Act has structures that would have needed to come into existence, obviating the need to create formal groups like the Reference Group. Since this has yet to be commenced we are now looking at registering this coalition in order that membership can be more systematically formalised. The new Act will replace the NGO Act 1992 and establish a Federation of PBOs instead of the NGO Council. The NGOs Coordination Board will henceforth be PBO Authority, a semi autonomous body with significant representation from the civil sector. There is enough to make Mbogori and people of like-mind worried. They fear that the rot in the NGO Council will be carried over to the PBO Federation and the Government is altering the Act reduce the civil sector voice in the future PBO Authority. So the battle between the State and the civil sector is hot and raging. Last year, Fazul announced that the 15 NGOs had been deregistered for financing terror in the country. Last month, he was back on the NGOs’ case when he announced that local NGOs could not account for Sh23 billion they had received from their respective donors in the last year. A week later, he said a research on more than 10,000 such organisations had established that 957 of them could not account for donor funds and they were notified of the State’s intention to deregister them. Two days later former Devolution CS Waiguru exonerated the NGOs from wrongdoing, one of her last good acts in office, perhaps because the State cannot prove those accusations.